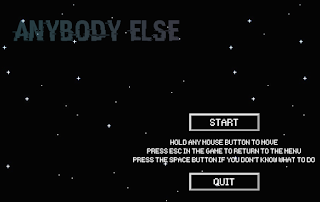 "Anybody Else" is a game for Windows that aims to recreate the feelings associated with advancing age and death. Not available on mobile. Click here or the preview image below to download "Anybody Else" from Google Drive.